Home BUSINESS No more funding of “Merry-Go-Rounds”, “Table Banking” by UWEZO Fund. 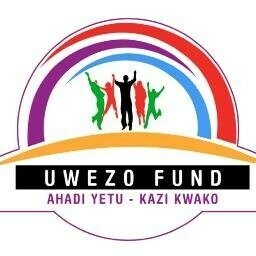 No more funding of “Merry-Go-Rounds”, “Table Banking” by UWEZO Fund. UWEZO Fund and all other government affirmative action funds will no longer extend loans to groups whose objective is social welfare. Speaking during a sensitisation workshop for chairpersons of all the self-help groups within Thika East and Thika West sub counties at Thika High School Chapel Hall on Tuesday, Officer In-Charge of the Thika Women Enterprise Fund Mr. Samuel Thuo said that the government had reviewed its policy to only finance group projects, especially those aligned to the BIG 4 Agenda. Thuo noted that even though the repayment rate in Thika was very successful, majority of these groups could not show anything tangible for all the monies they had received over the years. “Our repayment rate is about 103% but the situation on the ground does not reflect the amount of money that these groups have received over the years. Most of them borrow for Merry-go-rounds and for table banking, activities that rarely improve their standards of lives,” he explained. He told the participants that going forward, the prime qualification for any financing by the Women Enterprise Fund, Uwezo and Youth Funds will strictly be project-based and the beneficially have to show what they are doing with the money. “I challenge you to change your mindset and begin viewing yourselves as entrepreneurs. Those who have kept their saving in bank account should use the same to start income generating projects which will attract funding from the umbrella fund that will constitute the three previous funds,” he said. He also set out a warning that groups that have previously defaulted their loan repayment have been blacklisted and will not qualify for any financing in the new arrangement before clearing their loan arrears. Thika Town MP Eng. Patrick Wainaina appealed to his constituents to avoid being carried away by the current wave of negative politics in the country but instead focus their minds on other constructive activities that would improve their lives. “There is a lot of negative energy across the country that does not really help anyone. Leave those who want to play politics to do so but let us, as Thika people, concentrate on the kind of activities that will uplift our standards of living,” he told the over 100 participants. He encouraged them to develop and nurture a culture of saving and use these savings only for investments for this was their only way to unwind themselves from the yokes of poverty. He promised, through Jungle Foundation, to supplement the government’s efforts by funding more and more groups as he geared towards reviving Thika’s mantle of being the country’s business and industrial hub.